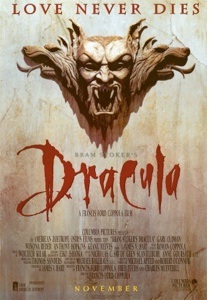 Director Francis Ford Coppola gave the new age of Hollywood moviegoers a fresh taste of the old Dracula film. Garnering several film awards especially for its visual display, Bram Stroker’s Dracula featured a then-rising Keanu Reeves. The film also made it to the top ten highest grossing films of 1992 with a little over $215 million worth of earnings. The movie was about lawyer Jonathan Harker who was captured by Dracula and was then taken to London in search of Mina Murray, Harker’s fiancé. Dracula then began a seduction ploy toward Mina’s close friend Lucy Westenra. The film followed the action and the horror until the eventual banishment of Dracula. 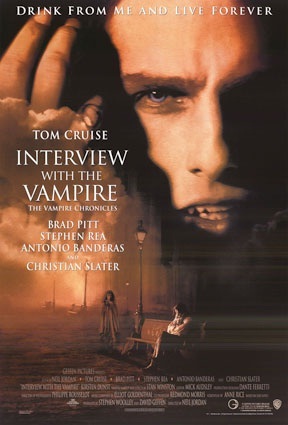 Based on the novel of world-acclaimed writer Anne Rice, Interview with a Vampire is about a journalist’s meeting with a 200-year-old vampire who is known to have banished the usual, repulsive thirst for refuses to take human blood to satisfy his thirst. Later on, he finds a little girl with whom he shares a long family life. Interview with a Vampire is among the very few vampire movies that stick mostly with its literary content than its supernatural beings. The movie focuses not on actual visual display but on the deep understanding of the vampire existence. Another one of Anne Rice’s works, Queen of the Damned not only focused on the horror of vampire films but also on the music of rock bands. It featured as lead character a vampire who had a passion for rock music and therefore took the courage of being the front-man of a famous band. He then became a threat to the vampire world, because of his overexposure that could lead to the humans knowing of their existence. This was where most of the battle scenes ensued—from the lead’s constant fighting with his fellow vampires. Notable for featuring Aaliyah in her last movie, Queen of the Damned became highly acclaimed because of its innovative inclusion of something supernatural and normal at the same time. A superb action flick, From Dusk Til Dawn was about the fugitive Gecko brothers who were on the run from holding a bank robbery. They were promised freedom if they would be able to survive “from dusk ‘til dawn” at a specific place. Unaware that they were being pitted toward a horrific end, the Gecko brothers soon realized that they place was actually a vampire nest. 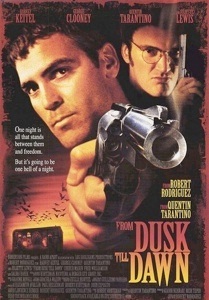 Complete with vampire allure and a highly-relative set up, From Dusk Til Dawn was a sure hit to both the action-loving male and the supernatural-believing female viewers. 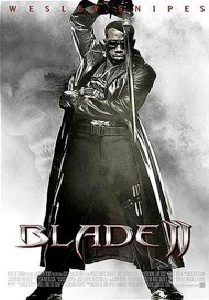 With Wesley Snipes on the lead, Blade is about a boy who was born as half-vampire. His mother died giving birth to him while suffering a ferocious vampire attack—thus the hybrid. Blade grew up hunting vampires, learning skills through his mentor Whistler. He later on saved a bitten woman, therefore hurling him into a huge fight with Deacon Frost, an ambitious vampire who wished to become La Marge the Blood God. Full of action and visual displays, Blade has made it into the top ten most watched vampire movies. It boasted of a good mixture of action and suspense while preserving the idea of its lead character being a vampire. The rise of horror Asian flicks in the last few years made way for an exemplary vampire movie by Korean director Park Chan-wook. Mainly a love triangle, the movie featured a priest and a woman’s sinful relationship made worse by the woman being married to the priest’s friend. The twist then happened with the priest turning into a vampire and thus started longing for the woman’s blood. Thirst is a film that boasted well of its stunning visual displays, with the Korean touch of clarity and bluntness. It is a phenomenal hit, giving most the scare of the vampire creature while focusing on a lot of the actual plot. 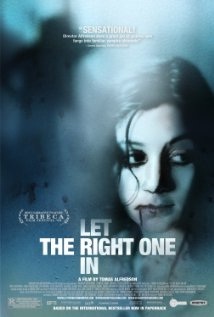 Originally a Swedish horror flick, Let the Right One In is based on the novel of acclaimed writer John Ajvide Lindqvist. It is about a young loner boy who was frequently bullied by his classmates and who had no refuge from his separated and constantly-arguing parents. Then he met a strange girl, who had just moved in with her father at the apartment near his. The girl did not go out at day and loved to play with the snow in the dead of night. The boy befriended the girl and together, they became stronger for each other. He actually liked the girl in a romantic way until he discovered her true form—a vampire. Featuring a mixture of innocence and a complex set of horror scenes, Let the Right One In is popularly praised as being raw and highly endearing albeit its frightening factors. This film just as good as gave birth to the now famous vampire-werewolf rivalry. The war between the archenemies was depicted as a large war of the species with a modern-day twist. The lead female character Selene discovered the terrible secret about a being that could transform into a vampire and a werewolf. This discovery led her to think twice about where her being an ally should be directed. 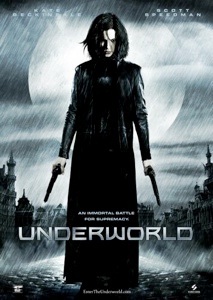 Highly futuristic and dark, Underworld gave the viewers a great action film that is not grounded so much into crime and murders. 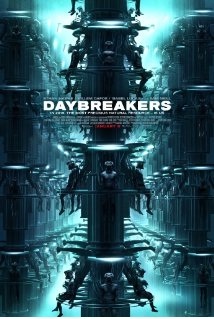 An approach that tapped the epidemiology feature, Daybreakers depicted the vampire scare as somewhat like a contagious disease. This is true especially since being bitten by a vampire eventually makes the same. The thriller is futuristic in a sense, combining the virus of several contagion films. The disease-like spread continues until almost no humans are left for them to prey on. 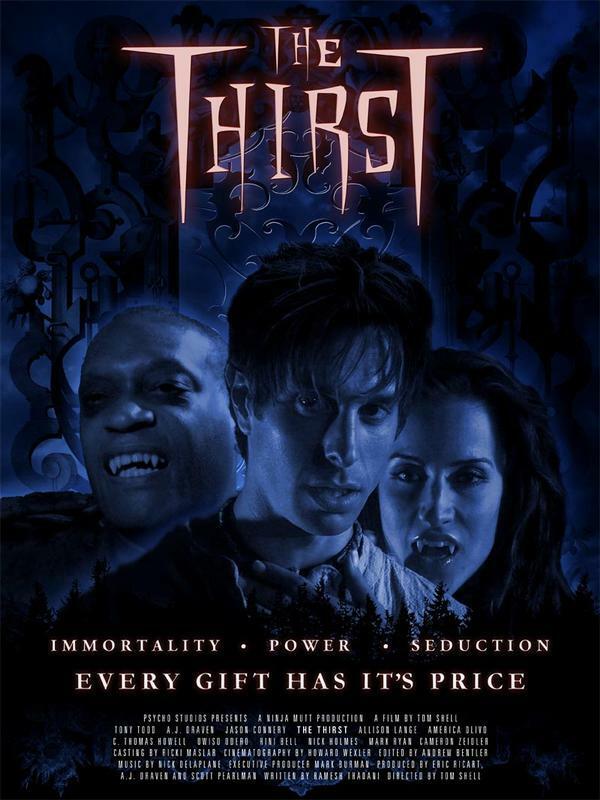 The film is a good approach to the vampire stories in the entertainment market, reducing the supernatural effect to something sinister and almost resembling reality. A saga from the famous pen of Stephenie Meyer, the Twilight movie is about a teenage girl who had just moved to her father’s town. In there, she had made not only a different lifestyle but a few set of friends. What would have been a normal life was then altered when she fell in love with a boy who belonged to a superbly mysterious family. Later on, after much research and utter display of unnatural acts, she found out who he really was—a vampire. Although the vampire and his family committed to a way of life that differed from most of their species, they only fed on animal blood; the danger was still posted on the girl’s life by most of their fellow vampires. 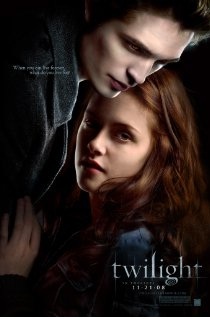 The Twilight saga has become famous due to its love story angle that touched most of the teenage market’s take on life. It is modern and highly anchored on a realm of normalcy.